Time for the latest Tuesday’s Travel Essentials again. 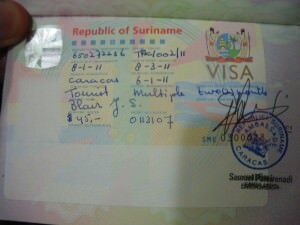 Getting visas becomes a regular part of your travels and therefore a handy tip to save time, money and effort is to always carry passport photos. Personally I carry between 12 – 15 of them at any one time. They take up only a small amount of space and save you a hell of a lot of time on borders. 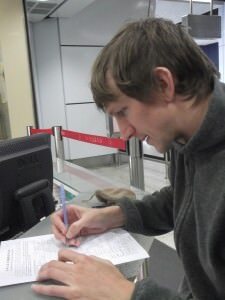 Filling in another application for a Chinese Visa recently – of course I already had my travel pack of passport photos on me! – Get out and see the world!! Getting my Suriname Visa in 2011 was difficult enough without the extra stress of having to find a passport photo booth in Caracas! Tuesday’s Travel Essentials is an ongoing regular feature on Don’t Stop Living – a lifestyle of travel. If you want to check out my travel timeline, head here. and my inspiration on how I manage to live a lifestyle of travel. This entry was posted in Daily Features, Destinations, Tuesday's Travel Essentials and tagged Cambodia, Caracas, China, North Korea, Passport, Suriname, Travel, visas. Bookmark the permalink. Also worth noting that you should take glasses off for photos and move hair out of your face as much as possible. The guidelines on the UK passport website are pretty decent and seem to work for all other passport requirements. 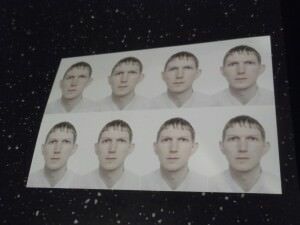 I did actually have a UK passport refused for the face being too close so you need to make sure you have a good photo.